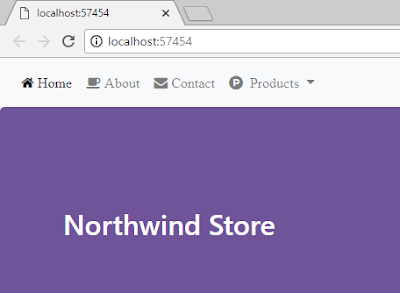 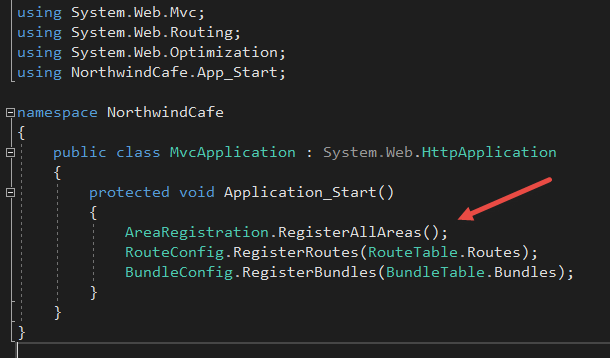 An ASP.NET MVC can get big, and it could be overwhelming. 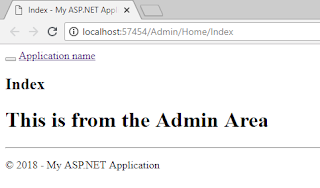 Areas are a way to break up the application into smaller segments, A perfect candidate for an Area is the Administrative features of the site because it has multiple pages, and functionalities. 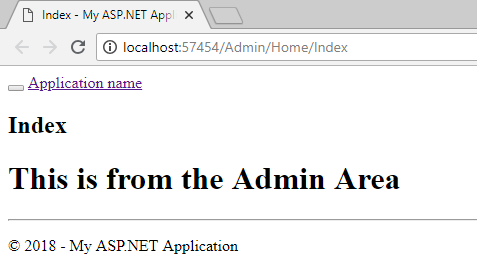 So it is a good idea to segment off the Administration area to its own area (no pun intended). 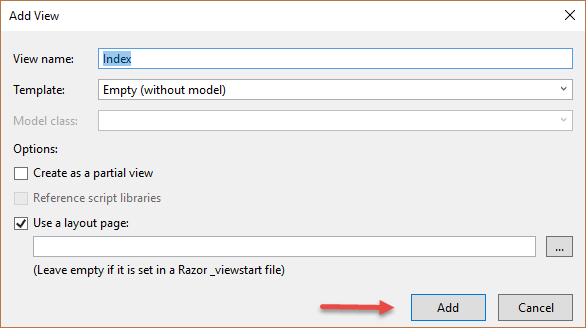 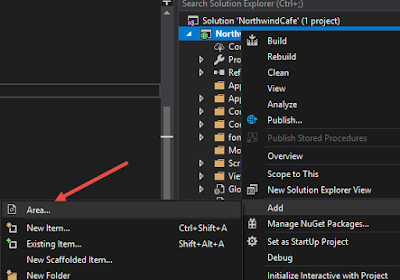 To add an Area to your MVC application right-click on the project and click "Add", then select "Area..."
The Areas folder structure should look like this. 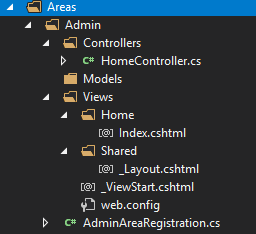 Now we want to create a controller for the Admin Area, right-click "Controllers" folder under "Admin" and click "Add", then select "Controller"
Call the controller "HomeController", then click "Add"
Open the HomeController.cs file under the "Contollers" folder in the "Admin" folder, right-click on the "Index" method, then click "Add View"
Except the default options for the view and select "Add"
Now if you type in the route /Admin/Home/Index you see the message "This is from the Admin Area"
Now comes the annoying part about Areas, when you type in the route /Home/Index you will get an error that the Home controller is not unique. 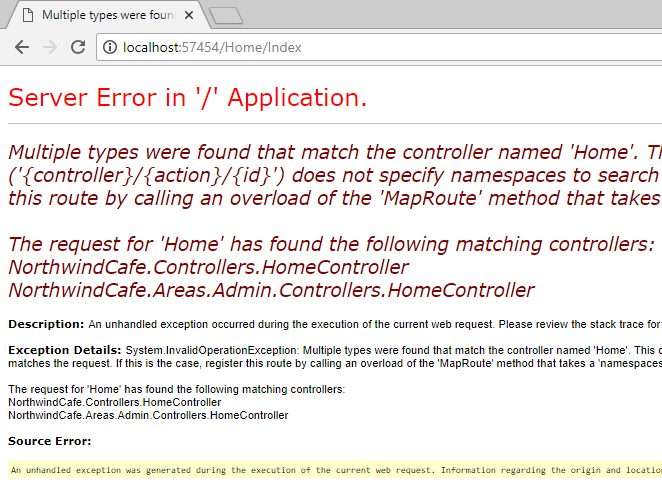 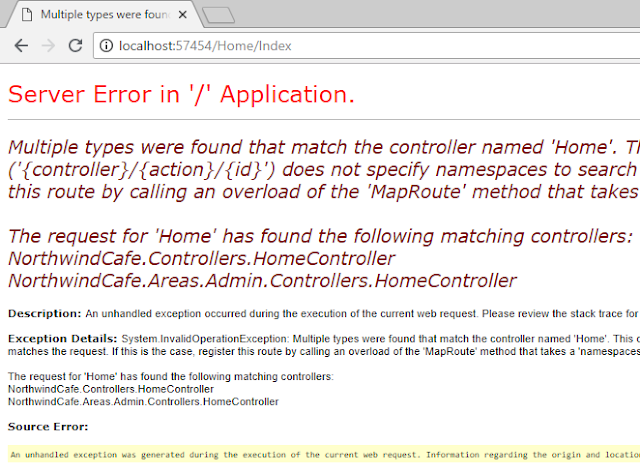 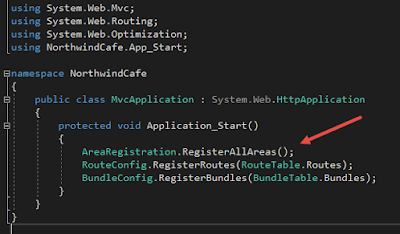 That is because the MVC framework puts all controllers in finds in the application into a flat list regardless of namespace.